With their losses projected to run into crores, wholesale dealers of firecrackers in New Delhi can see their Diwali going up in smoke. The Supreme Court yesterday dealt a virtual death blow to firecracker dealers in the famed walled city of Delhi by banning sale of fireworks until October 31. The news travelled fast through Sadar and Jama Masjid, the two famous markets in the Old City, with shops piled high with crackers of all kinds, ranging from sparklers selling for about Rs 20 a stick to powerful bombs going up to Rs 1,000 and more. The Supreme Court said its order of last November banning the sale of firecrackers in Delhi-National Capital Region (NCR) would continue till October 31 - Diwali falls on October 19 -- in an effort to check pollution this festival of lights. "All dealers across NCR have been affected. The ban was imposed in 2016 last year and was lifted temporarily around 20 days back. Now, what will be do with the old stock? 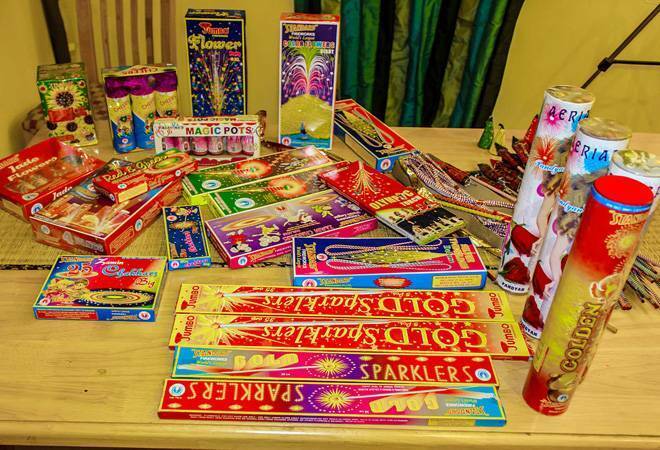 Crackers worth crores will go waste," said Amit Jain, who sells firecrackers in Jama Masjid. Harjit Singh Chhabra, head, Sadar Nishkarm Welfare Association, estimated that losses could go up to hundreds of crores. According to him, 500 temporary licences have already been issued to sell firecrackers in Delhi-NCR. Of these, Sadar Bazar has 24. This does not include those who have a permanent licence. "Ban nuclear weapons, not crackers," said one shopkeeper in Sadar Bazar. "The Supreme Court's job is to regulate not ban," added another who had set up shop close by. "They have banned Diwali in Delhi," said a third. The posters came up equally rapidly. A banner saying "Patake hi Patake" was pulled down to make way for a new one declaring, "Nashe se mar rahe hai log, Patakon se nahi (People are dying because of drugs, not of crackers". "We are selling crackers not nuclear weapons that you impose a ban. This is India, not Taliban that you can go on banning things like this," Chhabra told PTI. Shopkeepers in Sadar Bazar have threatened to go on strike and insist they won't follow the order. "We can't sell in shops so we will sell on the pavement if nothing works out," Chhabra said, addressing a crowd that had gathered near his shop. "This is not child's play. They have revoked the old ban only to bring it again. What do we do with these crackers that we bought," he added, showing his licence giving him permission to sell crackers till November 21. His story found wide echo in the area. Sandeep Mahajan, another shopkeeper from Sadar Bazaar, said he has over 600 kg of crackers worth about Rs 8 lakh. "My losses will be three times more. I had bought crackers worth Rs 25 lakh," added Rajiv Saxena of RK Enterprises. Many of them said they were just getting over the blow of "28 per cent GST on crackers". "We are clueless about what to do next! For us Diwali is finished. The last I knew, Supreme Court was authorised to regulate, not ban. This will only create new avenues for corruption. I can already see policemen taking rounds to harass us," said Surinder Chawla. While environmentalists and others welcomed the apex court order, Chawla is amongst those hoping that the biggies of Sivakasi - firecracker manufacturing hub - manage to get a stay. "People running the industry in Sivakasi are big shots. They will get us out of this situation," Chawla said. The "cracker lobby" also contests that a ban would help in reducing pollution. "Trucks are roaming throughout Delhi and there is no check. The big industries are polluting air 365 days and you don't do anything. But come Diwali and you are all alert... do they actually think that one day can make this huge impact?" asked a permanent licence holder in Jama Masjid who did not want to be identified. Pawan Khosla, who had come to purchase crackers for the festive season, had no clue about the apex court order yesterday afternoon. "Thank god you told me," he said, adding some more to his bulging gunny bags of the incendiary stuff. "Diwali is celebrated for around five days. In those five days, 10 lakh kilogrammes of firecrackers are used per day," a Supreme Court bench had said in August this year. It was reportedly informed by a counsel that 50 lakh kg of fireworks were stocked in and around the National Capital Region.